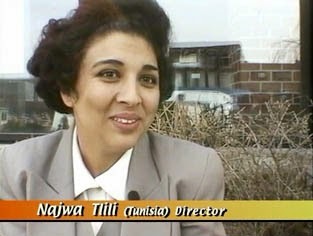 From a conversation with Najwa Tlili (Tunisia) in 1997 at Vues d'Afrique, Montreal, Canada, while still in production of the film Rupture. "I plan to be a professional camera woman, I will go back to my community and teach my colleagues how to make movies" says Aishah Umuhoza, a young Rwandan participant in the One Minute Jr. workshop. The initiative is part of “The World Cup in my Village” project sponsored by UNICEF in collaboration with community and governmental partners in Zambia and Rwanda. 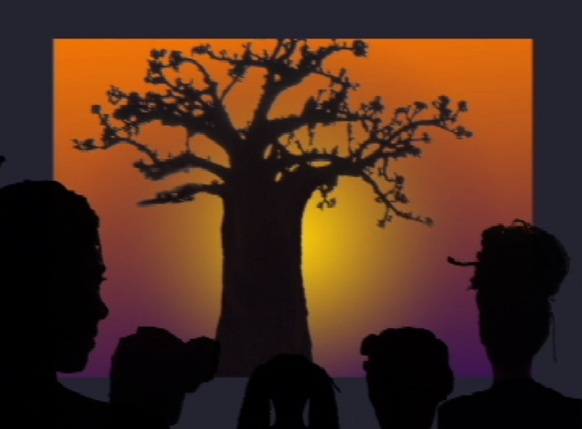 The film project in the Rubavu District of Rwanda entails a five-day intensive workshop during which the students learn to write a script, direct, shoot, and edit a one-minute film, as well as act in the production. The main objective is to provide the students with the skills to report on the important issues that they are dealing with in their communities and then share them with the international community. 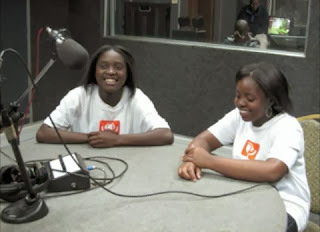 Similarly, in Mongu, Zambia, the radio production project gives the young participants the opportunity to express their concerns. The audio reports are broadcast on local, national and international radio stations. In addition, video reports of the initiative are posted on various websites, notably, the Children’s Radio Foundation, who is a partner in the initiative. As South Africa is host of the 2010 World Cup, “The World Cup in my Village” serves another important function as it provides a venue for young people who live in villages without electricity and broadcasting services to follow the tournament. Giant inflatable out-door screens and projectors are set in place for the occasion. To promote awareness building, UNICEF-produced public service announcements regarding education, health and children protection are part of the programming. As evident in the encouraging words of Aishah Umuhoza above, several girls have enthusiastically embraced the media-training project. A selection of the one-minute films produced during the film workshop is posted on the "unicefworldcup’s channel" on YouTube, among which are works by Dancille Nyiranteziryayo: A Better Future and Mamy Manirakiza: Raising Awareness. In 2006, the Belgium-based GSARA, in partnership with the Media Centre of Dakar and the National School of Arts initiated the Cinema(s) of Africa(s) Residency to develop and promote documentary filmmaking in Senegal. In 2008 the Cinema(s) of Africa(s) broadcasting station was created in Dakar to ensure a Senegalese base for the coordination of documentary filmmaking residencies, and the subsequent broadcasting of the films that are produced. Each year a three-month residency for scriptwriting and production of the documentary is held in St. Louis, Senegal. Founded on the idea that the participants share a common desire for the cinema, the Residency features three to four young Senegalese filmmakers who work alongside Belgian cinéastes and technicians. During this intensive creative process, each filmmaker transforms her/his project from concept to realization. The main objective of the Residency is to bring the participants together in order to work collectively on their ideas and the production of their films; thus sharing the day-to-day experiences in the development and completion of their projects. The films produced during the Residency are promoted and broadcast (on television, through DVD distribution and at festivals) in Europe by the GSARA and in Africa by the Cinéma(s) d’Afrique(s) Station in Dakar. In order to engage with the public, during the three-week Screening Tour in Europe, the resident filmmakers are able to accompany their films in the theaters where they are screened and at festivals. Among the attendees at the Media Center of Dakar Residency held in 2006, 2007 and 2008, five women participated and produced short films: Maïmouna Guèye: Destins croisés, 2006; Oumy Ndour: Njakhass/Patchwork, 2007; Marie-Louise Sarr: Chaîne alimentaire, 2008 (film not available for viewing); Aicha Thiam: Papa, 2006; Fatou Jupiter Touré: Surtout, souriez, 2006. The description of the GSARA Cinéma(s) d'Afrique Residence above is a French to English translation by Beti Ellerson. The World Cup excitement gushing out of South Africa highlights the enthusiasm for soccer by all--men and women. 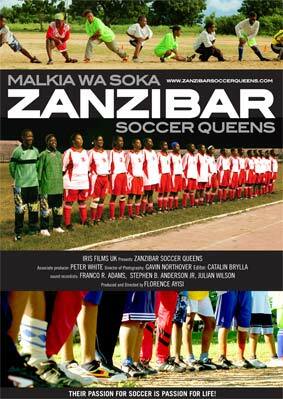 Florence Ayisi's film Zanzibar Soccer Queens underscores as well, that women are also skilled players of the sport. Zanzibar Soccer Queens is a documentary that presents fresh insights into other lived experiences and realities in Africa, particularly women’s experiences. The stories of the players of Women Fighters present a complex and diverse perspective of untold African Herstories: visions of hope; self-determination; empowerment; solidarity; aspirations and personal identity. These women cross the boundaries of how a woman should be in their society. They are undertaking extraordinary steps to define and determine their ambitions and fate. I was attracted to their courage and efforts to achieve personal goals beyond the cramped borders of gender lines, traditional and cultural expectations that prescribe of how women should dress or behave. (Director’s Statement on Website). The power behind women’s soccer on the island is its dynamic and charismatic coach, Nassra Juma Mohammed, the first female coach in Zanzibar. In addition to skill building in the sport, she also stresses the importance of women’s development. "What is important to me is that if the players get education they will be able to be employed to get jobs such as secretaries, cashiers , so they can take care of their own lives." The film offers a fascinating insight into women and sport in this majority Muslim population, especially as it relates to culturally defined roles for women and their bodies. The Zanzibar Soccer Queens Website provides a wealth of information about the individual "Women Fighters", the background and interest of filmmaker Florence Ayisi, a gallery of photographs, contact information, and a delightful trailer of the film. 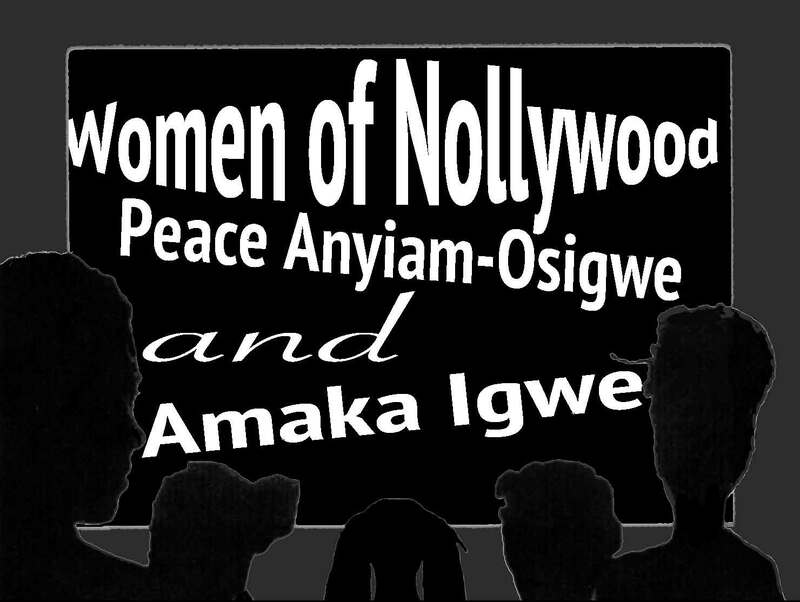 Behind the fascination with the Nollywood phenomenon are women who have played a critical role in its evolution into an international “must see”. Amaka Igwe (1963-2014), who was trained in theater arts, has produced movies, series and soap operas for television, film and video. In the 1990’s the immensely popular soap opera, Checkmate catapulted her to national renown and is among the standard-setting works for Nollywood productions. Her short film, The Barber’s Wisdom is one of the few shot on celluloid among contemporary Nigerian filmmakers, which attests to the popularity of the home video movement from which Nollywood evolves. In addition to the central role she plays as filmmaker, Igwe is an important stakeholder in the Nigerian film industry. She is founder and organizer of BOBTV the acronym for Best of the Best TV, a film and television program market held annually in Abuja, Nigeria. In addition, it is a venue for meetings, conferences and workshops related to film/video. Peace Anyiam-Osigwe, a lawyer by training and CEO of the African Film Academy and founder of the African Movie Academy Awards, has a grassroots view of the purpose of Nollywood: to make films for the masses, not the elite. As she points out in the film, This is Nollywood, “what you have to remember about this society is that there are people in Africa who live on one dollar a day and these are the people that really watch these films.”(1) The goal of the African Film Academy is to ensure that there is training and funding for filmmakers in order to produce films so that the world may have a positive view of Africa. (2) Dorothee Wenner’s Nollywood Lady, features Peace Anyiam-Osigwe they navigate through Lagos, the capital of this vibrant, dynamic and dramatic moving-image phenomenon. But before Amaka Igwe and Peace Anyiam-Osigwe, there was Lola Fani-Kayode, pioneer producer of Mirror in the Sun, one of Nigeria’s most successful television soap operas. In the mid-1980s Amaka Igwe recalls being immersed in the weekly episodes at 8 o’clock each Sunday night. (3) This seminal program was the impetus for her classic series, Checkmate. There is a noticeable trend in the Nigerian film industry (popularly called Nollywood). The women in the film come as wicked, manipulative, loose in morals, diabolic and inferior to the men. It is a familiar pattern: the women are hardly ever their own person; they are there to serve the men and their lives revolve round their marriage and children. If they head corporations, they either inherit it or stole it from someone. Generally, the roles of women in films are hardly ever psychologically empowering. To correct certain negative impression created in our movies on the womenfolk, a two-day forum tagged, "Nollywood and the Dynamics of Representation" holds at the Colonades Hotel, Ikoyi. The event which begins on June 16th and ends on the 17th 2010, is packaged to facilitate a gender dialogue geared to telling more empowering and inspiring stories about African women, as opposed to one or two dimensional portraits that trail our movies, said the organisers. Mrs Bisi Adeleye-Fayemi, Executive Director of the African Women's Development Fund (AWDP), organisers of the event, said the forum which is being put together in collaboration with Lufodo Productions, owned by veteran actor, Olu Jacobs and his wife, Joke Silva, will bring together industry practitioners at home and in the diaspora, including executive producers, directors, actors, scriptwriters, scholars, public intellectuals, culture and gender activists, amongst others. The ADWF group said that from their experience of working on women's rights issues on the African continent, it is becoming clear that there is a need to start thinking of new ways of changing behaviours and attitudes that undermine women's rights, and which inhibit women from achieving their full potential: "It is recognised that one of the critical sites of oppression and violence against women in Africa is that of popular culture, expressed through popular music and film." 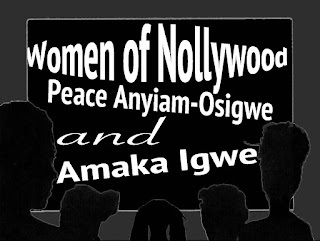 At the conclusion of the 20 May 2010 post, "African Women in Cinema: Experiences in Video Sharing and Vlogging"(1), I noted that while researching the topic I was inspired to actually create an African Women in Cinema Vlog which has blossomed into a veritable database on films, trailers, excerpts and interviews of and by African women in cinema, featuring filmmakers, producers, actors, activists, advocates, critics. The Vlog has three components: Two are located at the online Center for the Study and Research of African Women in Cinema, the third on Youtube. The first is a listing that accompanies the African Women in Cinema Channel on YouTube, which includes a collection of shared videos—an external link directs to the African Women in Cinema Channel on YouTube. The second is a listing that incorporates links to the diverse websites that host videos related to African women in cinema. Several include the actual websites of filmmakers, while others are channels that filmmakers have created on video sharing sites and still others are collections which include relevant films by African women. Launching the African Women in Cinema Vlog allowed me to bring together a plethora of video clips sometimes hidden and buried on channels and websites or on venues that were not apparent in a general search. There is a diversity of languages, which in many cases are not subtitled. 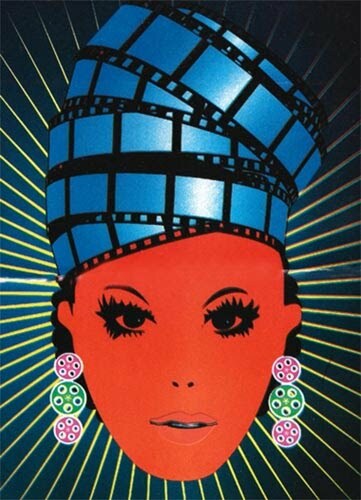 This polyglotism attests to the extent of the global experiences of African women in cinema. I encourage you to return often as updates are made on a regular basis. (1) "African Women in Cinema: Experiences in Video Sharing and Vlogging"